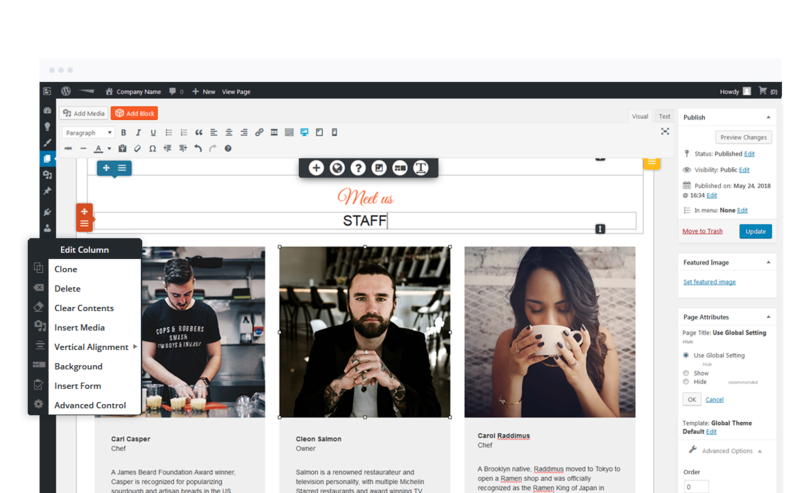 The BoldGrid Post and Page Builder plugin allows you add personalized content to your site. Then drag and drop the content, rows, and columns to truly make it unique. Follow along to create your first site or improve an existing one using our simple WordPress page editor. Since the Post and Page Builder uses the existing WordPress interface, you can quickly and easily create beautiful pages with rich layouts. 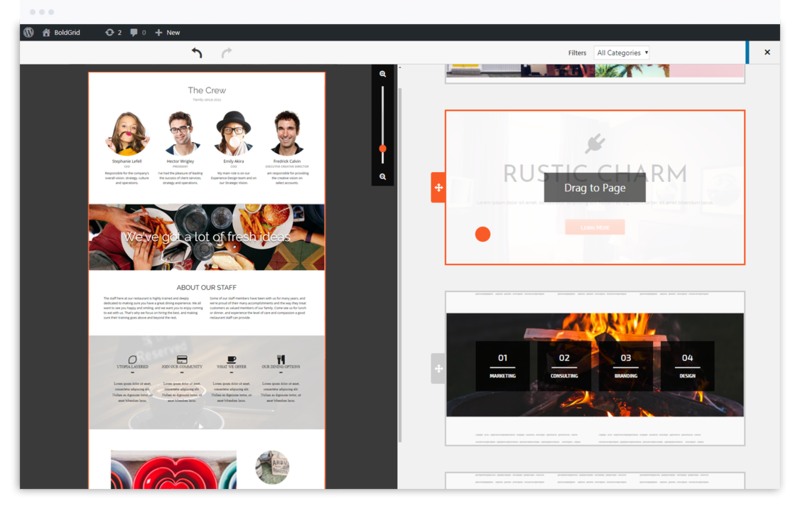 The Post and Page Builder plugin by BoldGrid includes tons of design features just a few clicks away. Learn how to add or modify elements like backgrounds, images, buttons, text, animation and more. Images are easy to work with thanks to our automated image cropping, which allows you to swap images without changing the overall design. Blocks are professionally designed sections of content that come in all shapes and sizes to save you time. Learn about the structure of BoldGrid Blocks, how to create your own BoldGrid Blocks, or drag and drop new sections of pre-designed content right onto your pages, and save your favorite Blocks for use on multiple pages. The BoldGrid Post and Page Builder will empower you to create and reuse beautiful Bootstrap layouts. We tie into the existing WordPress Editor to cut the learning curve and get you creating faster. 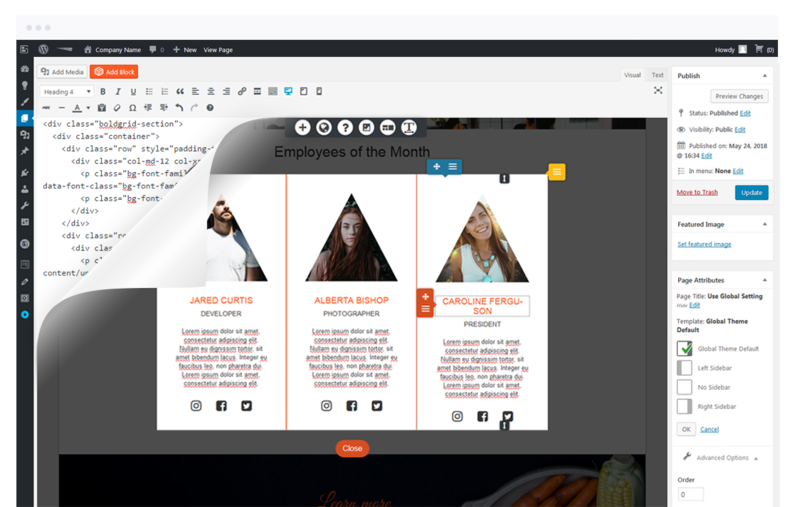 The Post and Page Builder by BoldGrid includes both a unique Visual Editing experience and traditional Text Editing to ensure you can work quickly and efficiently.